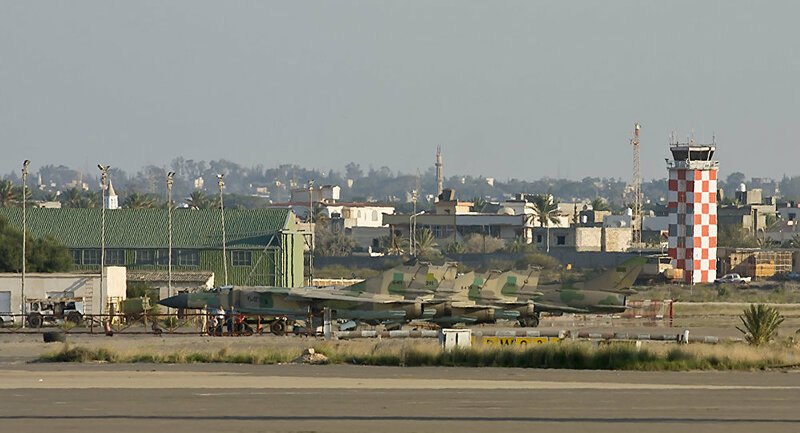 Local sources report that rockets were falling and on and around Mitiga Airport in Tripoli on Tuesday, causing fires. Reuters also reported that commercial flights from Egypt to Tripoli were diverted to the city of Misurata in northwestern Libya after rockets were fired near Mitiga Airport. According to the Jerusalem Post, explosions could be heard near Mitiga Airport. One of the rockets could be seen hitting the Mediterranean Sea. No casualties have been reported. In September, the Libyan Government of National Accord (GNA) announced a state of emergency in the country's capital and its surroundings due to persistent clashes between rival armed groups. Starting August 26, the southern suburbs of Tripoli saw multiple clashes between the so-called Seventh Brigade from Tarhouna, also known as Kaniyat, and the Tripoli Revolutionaries Battalion (TRB), nominally affiliated with the GNA Interior Ministry. Last week, Libya said it would open the country's only functioning airport, a week after it was closed due to clashes between militias that killed more than 60 people and injured almost 200, AP reported. The clashes spurred last week when militias from Tarhouna attacked southern neighborhoods in Tripoli, causing the militias supporting the UN-backed government in Tripoli to react. Libya has been in turmoil since the 2011 civil war, which resulted in the overthrow of its longtime leader Muammar Gaddafi. The eastern part of the country is governed by the House of Representatives with headquarters in the city of Tobruk. The UN-backed Government of National Accord, headed by Prime Minister Fayez Sarraj, operates in the country's west and is headquartered in Tripoli.